My appointment book has been over-flooding with appointments from natural women who want their hair straightened, or silk pressed. However, everyone that wants a silk press does not have the luxury of coming to the salon. There are other times where you just may not have time to make an appointment but something has to be done to your hair right now! Believe me, I get it and completely understand. That is why I am here, to help! Here is your basic guide for straightening your hair by yourself. 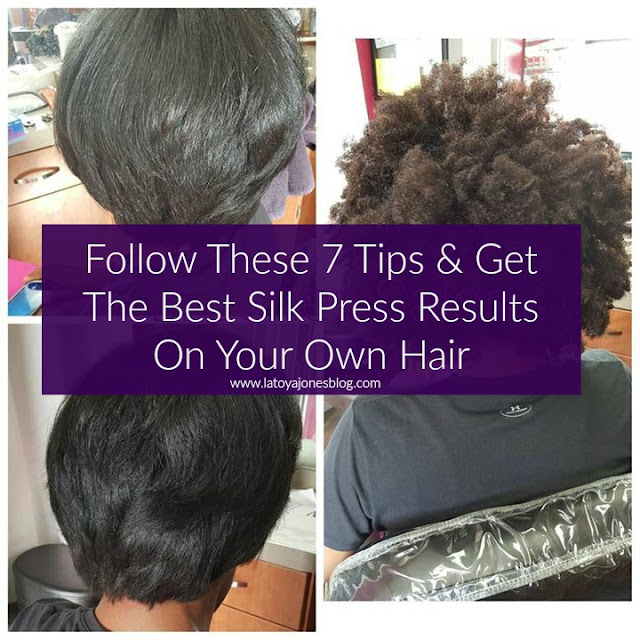 If you follow these seven tips, you can get the best silk press results on your very own hair! Before we get started, just remember that with these tips it may not look exactly like it was professionally done, and that is OK! We professionals do this all day every day so it is like a second nature to us. However, I do believe that with these tips your silk press will definitely look better than you have ever done it in the past yourself. Now, let's get started. Start with a clean slate- Shampoo your hair thoroughly before you begin straightening your hair. It definitely won't have the same effect if you try to do this without shampooing. Natural hair has a tendency to become more dry, so make sure you are using a moisturizing shampoo and conditioner (try by L. Jones products, they are great for adding moisturer). Prep your hair- After you've rinsed your conditioner out, apply a leave-in conditioner and some heat protectant to your hair. This helps to prepare the hair to be protected from heat damage. Section your hair- This is especially important if your hair is thick and/or long. Section your hair into 4-6 sections. This makes straightening easier when you work in smaller sections. If you have short hair you can take larger sections. Start blow drying- Preferably, you want to use a blow dryer with a comb attachment when doing this yourself. This will allow you to get close to the roots. Continue blow drying section by section until the hair is completely dry AND 85% straight. Once you are able to very easily comb through your hair with a fine tooth comb, it is straight enough to proceed to the next step. Flat Iron- Now that you've let your blow dryer do most of the work, it's time to let the flat iron bring it on home. 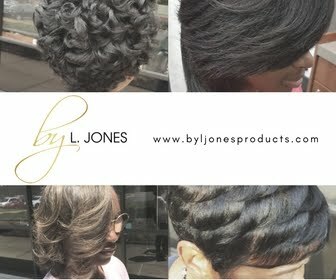 Set your flat iron (I prefer Toi by L. Jones flat iron) to the highest temperature that your hair will allow. It should not be over 400 degrees if your hair is not extremely coarse. Also, make sure you are using a high quality flat iron, or all of your effort will be useless. 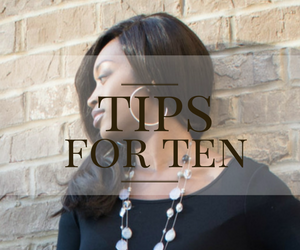 Start taking thin sections of hair and flat ironing, getting as close to the roots as possible. The sections should be thin enough so that the plates on the flat irons touch both sides of the hair equally. Continue until each section is completed. Have your ends trimmed- If you can't remember when your last trim was, more than likely it's probably time for one. 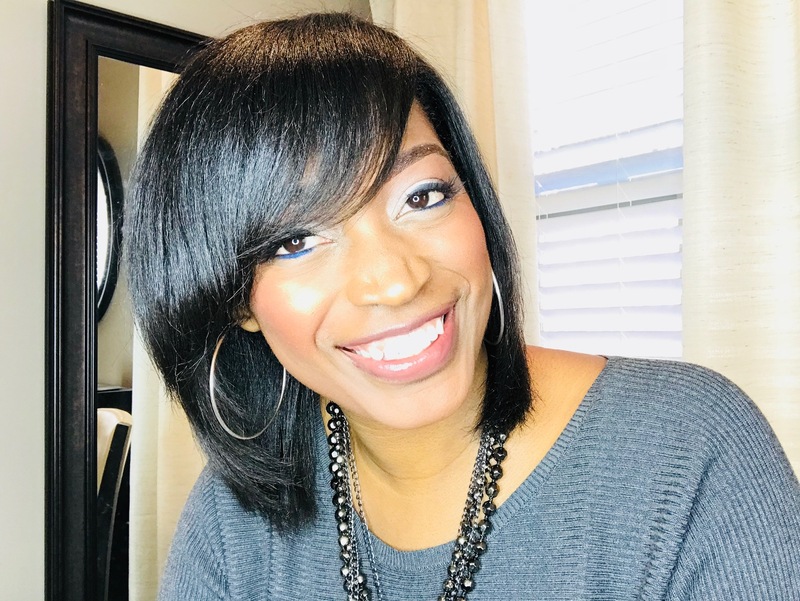 If you had a difficult time detangling the ends of your hair, or the ends feel much different from the rest of the hair, that is a sign that they need to be trimmed. Having your hair straight exposes all of your split ends. Let a stylist that you trust trim your ends. Apply finishing products- If your hair still looks a bit dry, apply a light oil on your hands and rub through your hair. 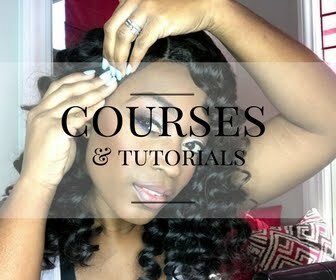 Rather see a video tutorial? Check me out as I straighten my own hair. Remember once you have your hair straightened, wrap it up every night. You should not be applying heat to it after the initial straightening. Your hair should stay straight as long as it doesn't get wet, which will make your natural curls come back. Also, try not to apply too much product to it, as that will weigh it down and your hair won't have a lot of body and bounce to it. I hope this guide helps and happy straightening! For the best products to use for a silk press, click here. How can i start silk press.I have a relaxer and a rinse. My next visit to the salon is in June.Can I start the process with out getting another relaxer but I want the rinse.